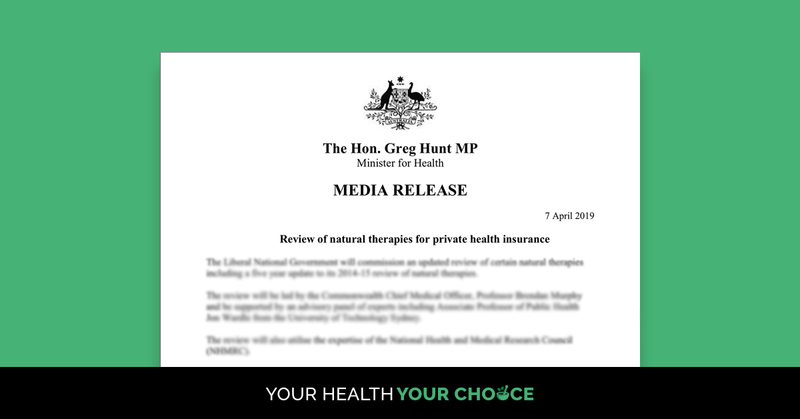 The Your Health Your Choice consumer campaign welcomes the Liberal National Government’s announcement to commission an updated review of natural therapies, including a five year update to its 2014-15 review of natural therapies – providing it is done transparently and ethically. YHYC spokesperson Ms Petrina Reichman said, “This announcement is a result of the LNP bowing to pressure from the 13,323 Australians that personally wrote to Minister Hunt and LNP MPs and Senators since February this year, in addition to thousands of others that wrote to Minister Hunt after the policy became law in September 2018.” Other groups and experts have also presented the Government with up to date research demonstrating effectiveness for many of the affected therapies. YHYC is Australia’s largest consumer driven campaign advocating for healthcare choice. 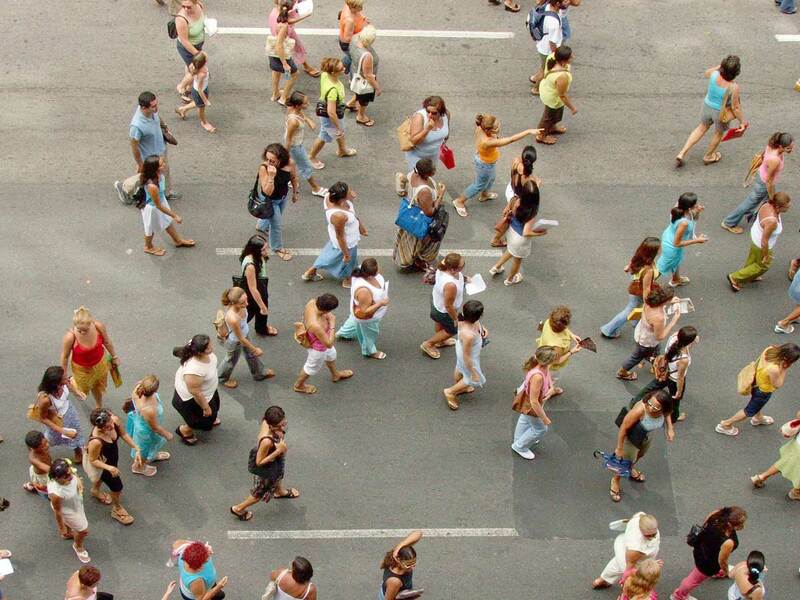 It has successfully galvanised public outrage at the removal of Private Health Insurance rebates for natural therapies, alongside the ban on health insurers independently offering rebates for these widely used therapies if they wished. “The Minister and the LNP have been flooded with protest from consumers on a scale that simply could not be ignored”, said Ms Reichman. “Removal of natural therapy rebates pushes costs to consumers and makes private health insurance less worthwhile”, she said. However the announcement sidelines public demand that Minister Hunt change the Private Health Insurance (Health Insurance Business) Rules 2018to allow health insurers to independently offer rebates for natural therapies if they choose – which Minister Hunt could do without needing to go through Parliament – a move also supported by the Private Health Insurance Association (PHA). YHYC supports statements by Independent MP Kerryn Phelps, who has labelled the review a “smokescreen” aimed at neutralising public backlash before the election and also urging that the ban be lifted immediately. Almost 110,000 people have signed a Senate petition calling for an inquiry into bias and procedural and scientific misconduct associated with the first of 17 natural therapies included in the Review of the Australian Government Rebate on Private Health Insurance for Natural Therapies, conducted by the National Health & Medical Research Council (NHMRC) between 2012 and 2014. “There is a big question mark over the NHMRC’s ability to ethically review any natural therapy, given the deeply flawed manner in which it approached the task last time”, said Ms Reichman. “We await the outcome of the Commonwealth Ombudsman’s consideration of a Complaint detailing administrative and scientific misconduct associated with the NHMRC Homeopathy Review, which informed the approach the NHMRC took to reviewing 16 other natural therapies”. SIGN and SHARE the petition below to protect right of choice in healthcare.